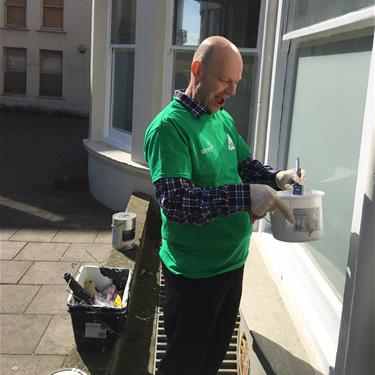 Back in the Spring of 2016 a group of young volunteers came to YHA Brighton and were tasked with painting a few of the rooms that needed a little bit of a touch up. One broken window and two ruined carpets later the concept of volunteering at Brighton was quietly put to bed. Enter team 2017! 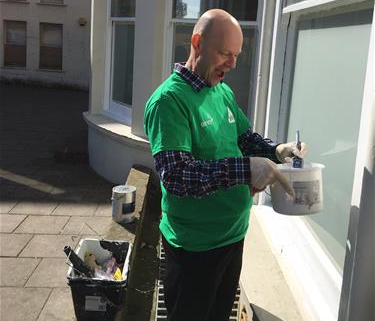 The AMEY group (a gold standard Investors in People award winning company) contacted us to arrange a day volunteering as part of the corporate social responsibility their company employs. 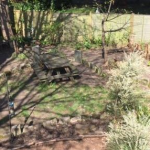 Although at first met with a little trepidation, the momentum quickly built as we planned the work they could do, how we could supervise this and what benefits this could have to us and our business, not to mention the 120 hours added to the volunteering time sheet. On the day the team turned up on time, with branded T-shirts on their backs, ready to work. The outside of the building has been repainted, making a huge impact on the first impression of the building; 5 rooms and various corridors have been decorated bringing a new lease of life to some areas that were starting to look a little tired; The dining room has had a new lick of paint freshening the walls where scuff marks and footprints were beginning to build up; the entire of our, frankly, huge basement has had all rubbish and unusable materials removed meaning we can make much better use of this space and taken a weight off the shoulders of our maintenance team. The team really enjoyed the work and did an excellent job. It was also mentioned that they would like to come back again next time and also many of the volunteers commented on the standard of the hostel and said the often repeated line, “Youth hostels aren’t like what they were when I was young” which has furthered our mission to engage with new customers and spread the YHA word.